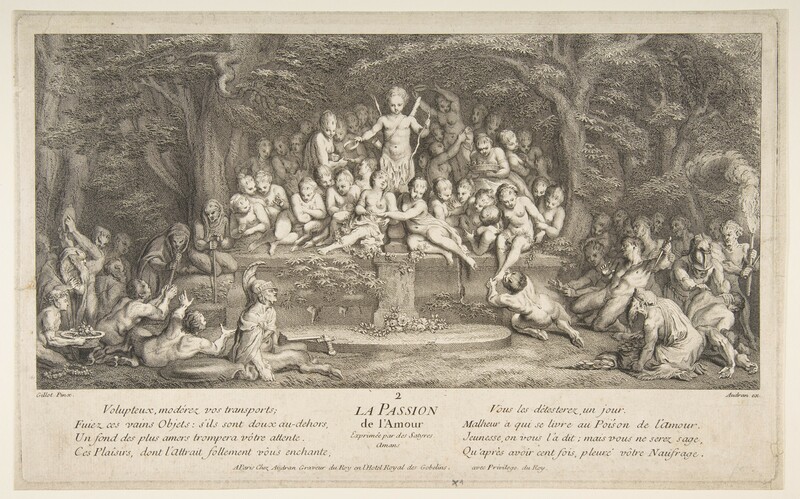 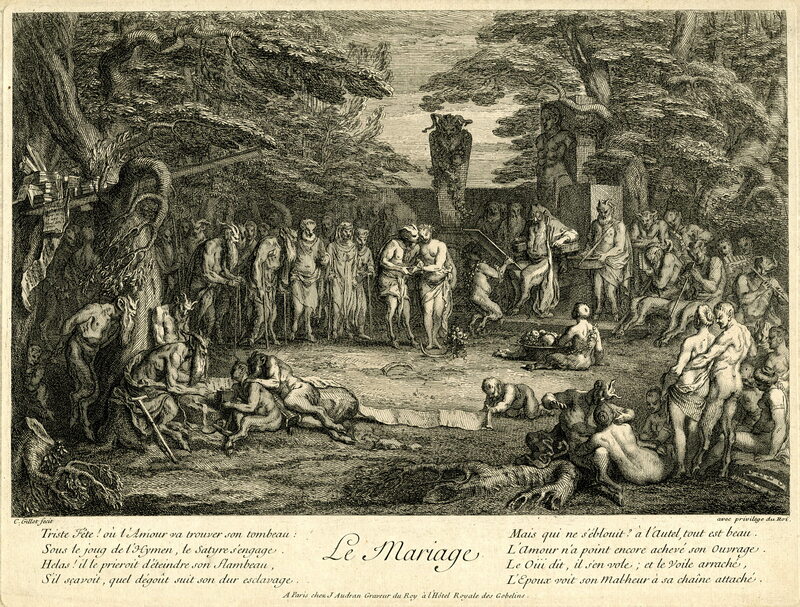 Claude Gillot (April 27, 1673 – May 4, 1722) was a French painter, print-maker and illustrator, engraver, book illustrator, metal worker, and designer for the theater. 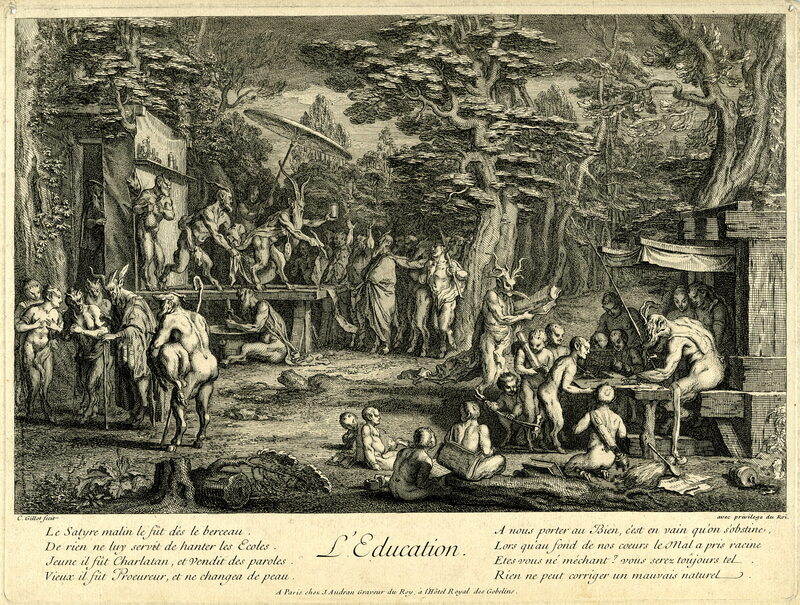 Gillot was born in Langres. 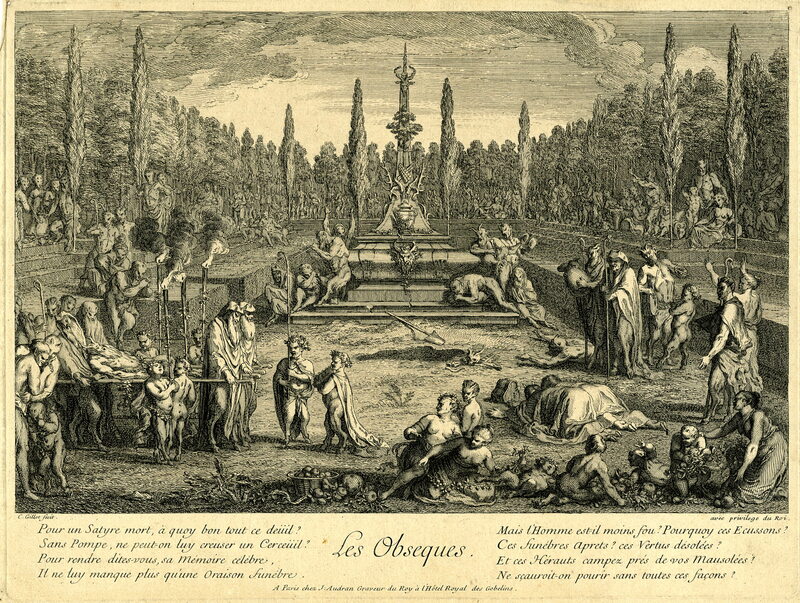 He had Watteau as an apprentice between 1703 and 1708. 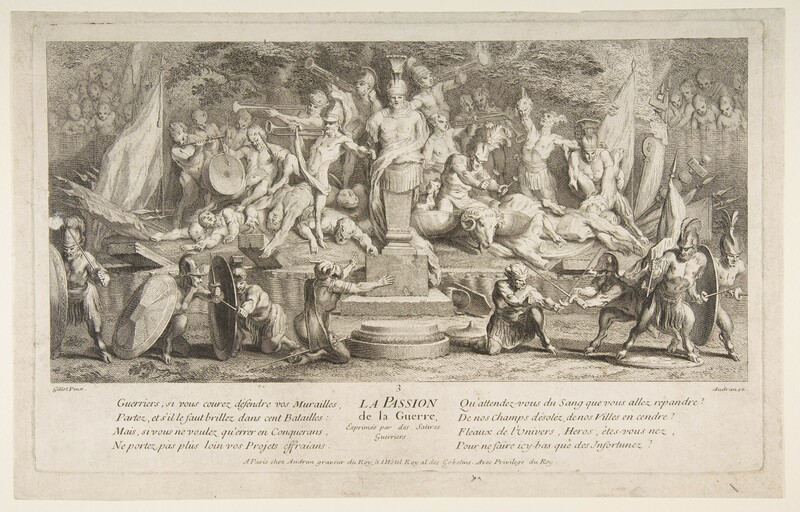 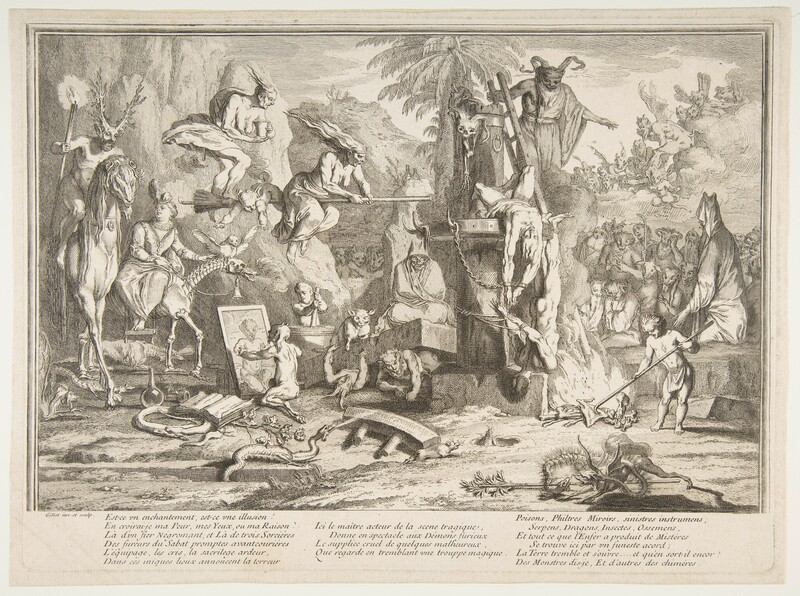 Gillot directed scenery and costume design for both opera and theatre. 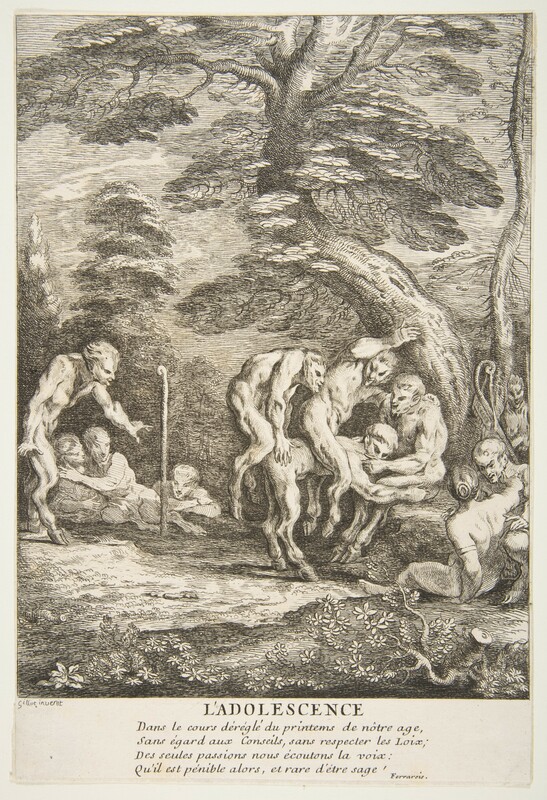 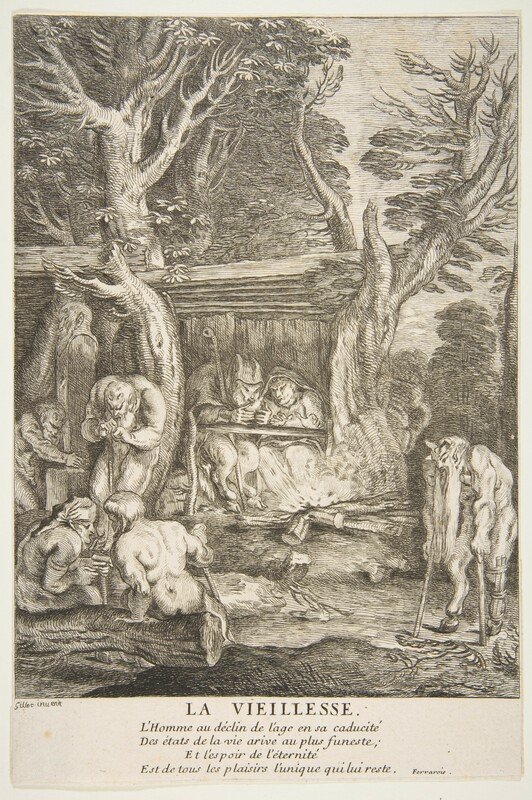 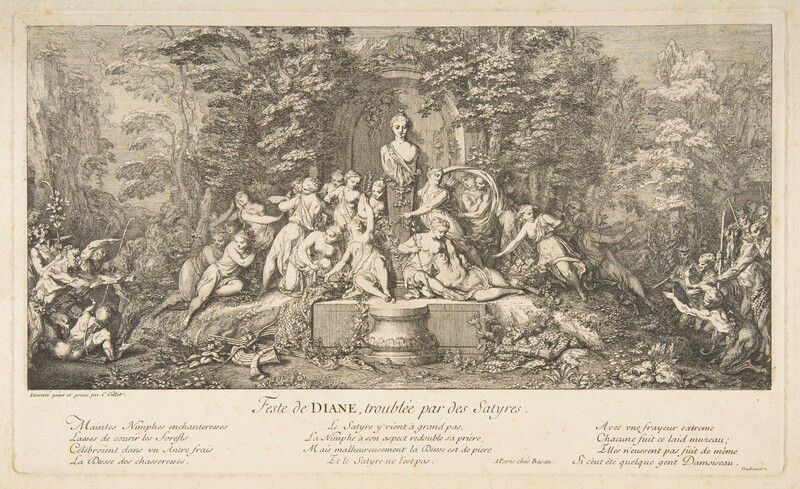 An accomplished draftsman and a man of keen intelligence, he was in part responsible for the love of the theatre, especially Italian comedy, that figures prominently in Watteau’s art. 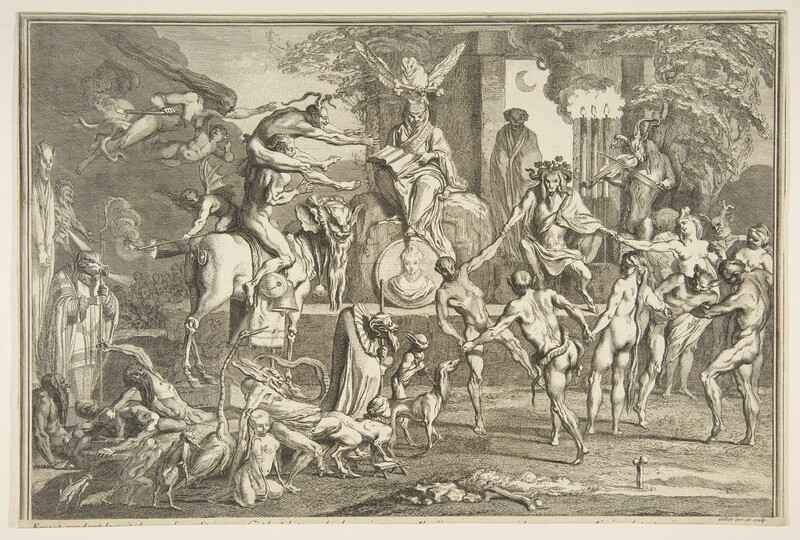 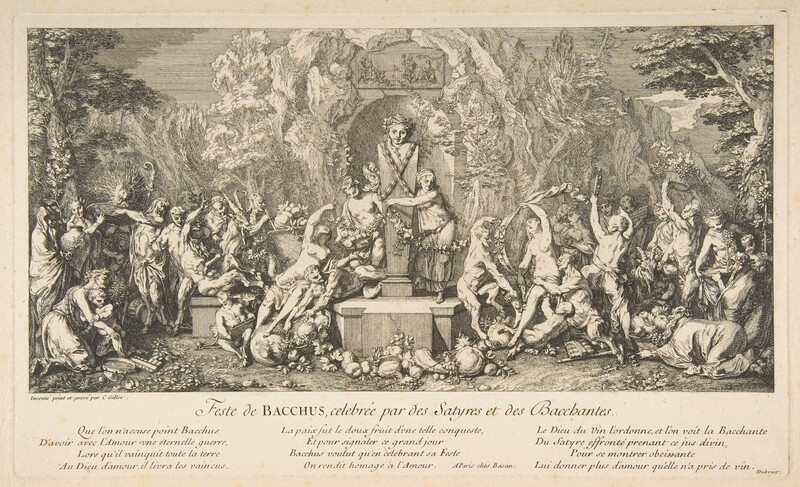 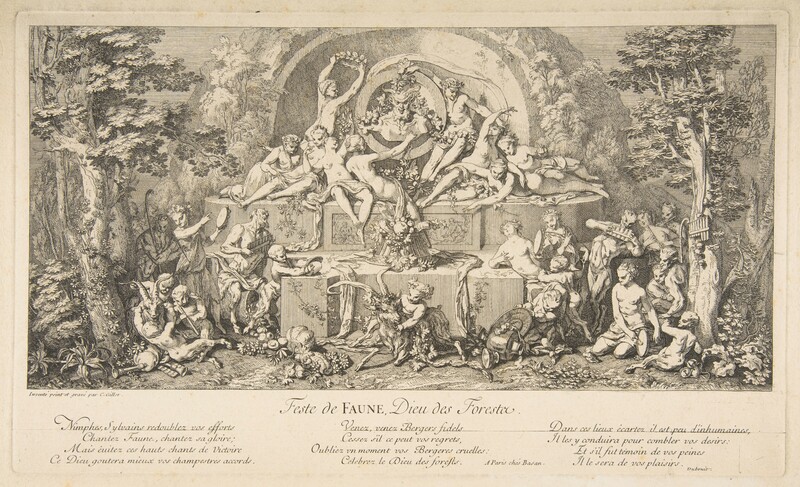 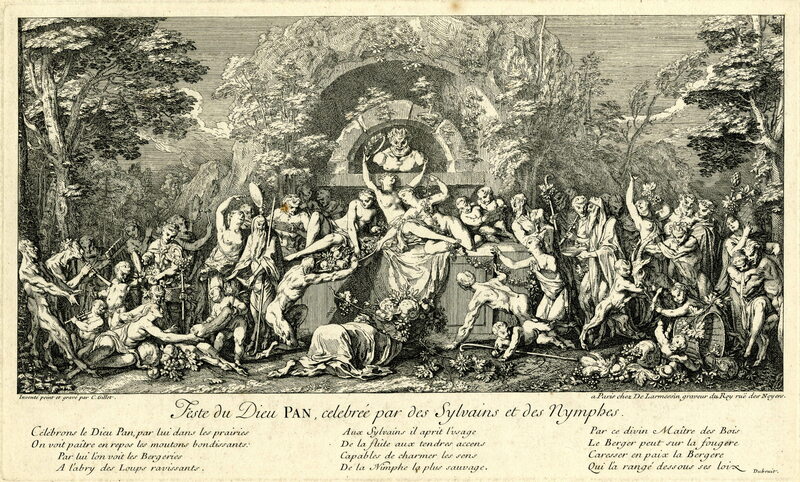 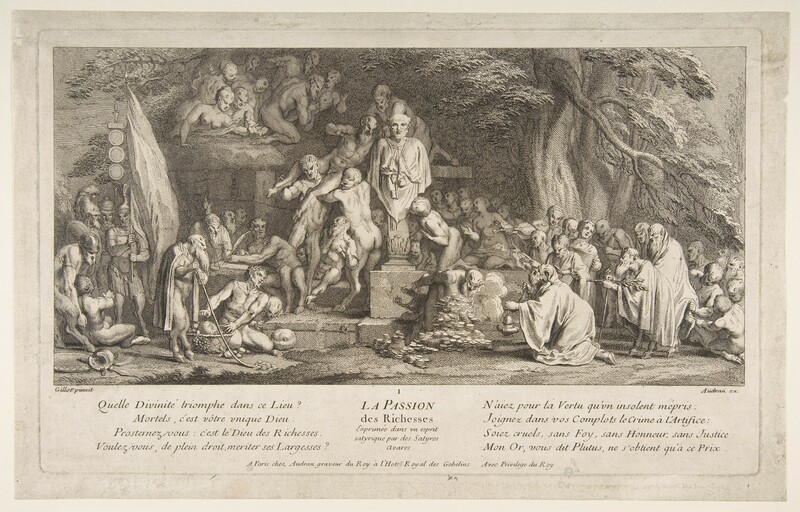 Gillot’s mythological or occult sceneries, with such titles as Feast of Pan and Feast of Bacchus, gained him entry to the French Royal Academy in 1715, after which he then adapted his art to the more fashionable tastes of the day. 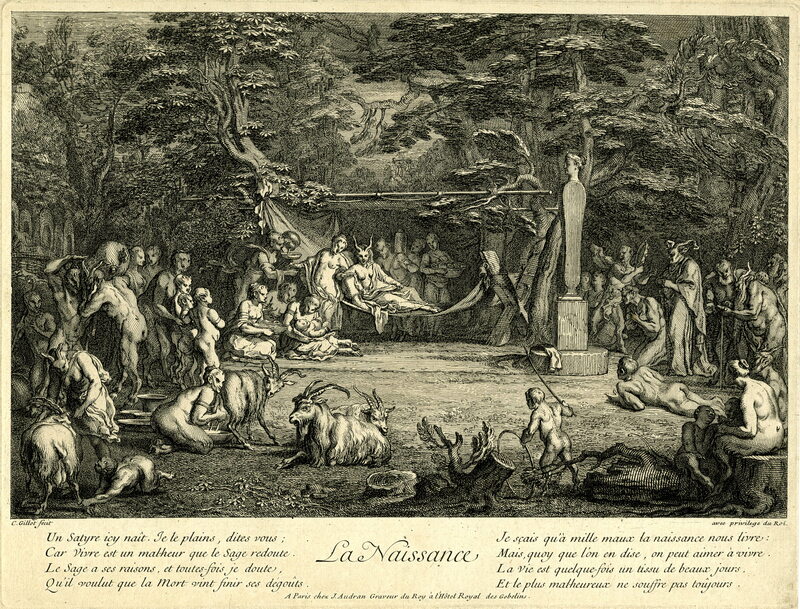 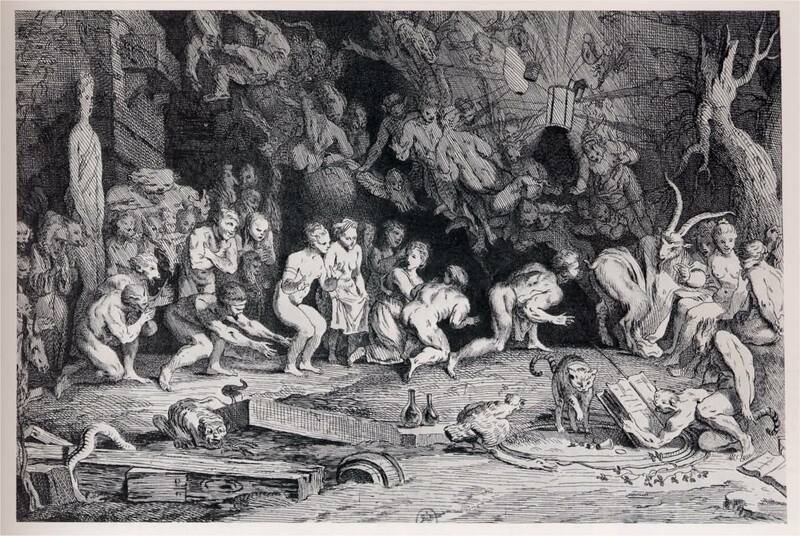 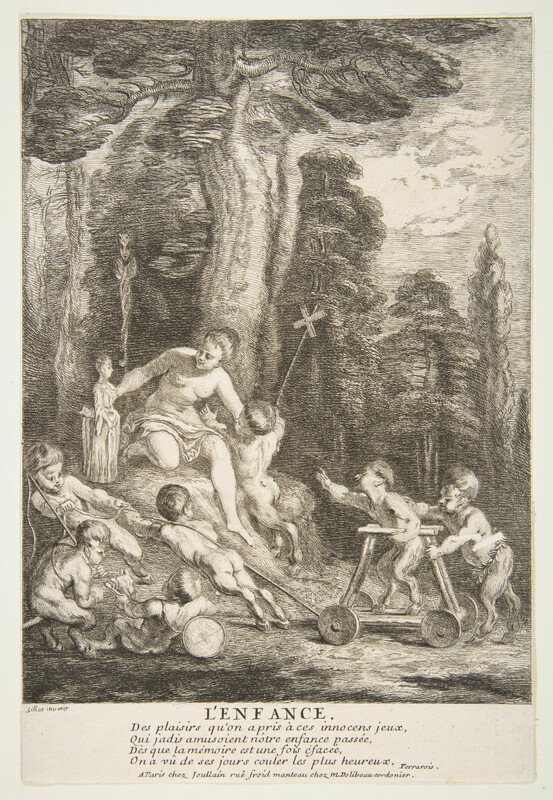 His prints also depict popular scenes and courtly comic adventures and he introduced the decorative fêtes champêtres, in which he was afterwards surpassed by his pupils Antoine Watteau and Nicolas Lancret. 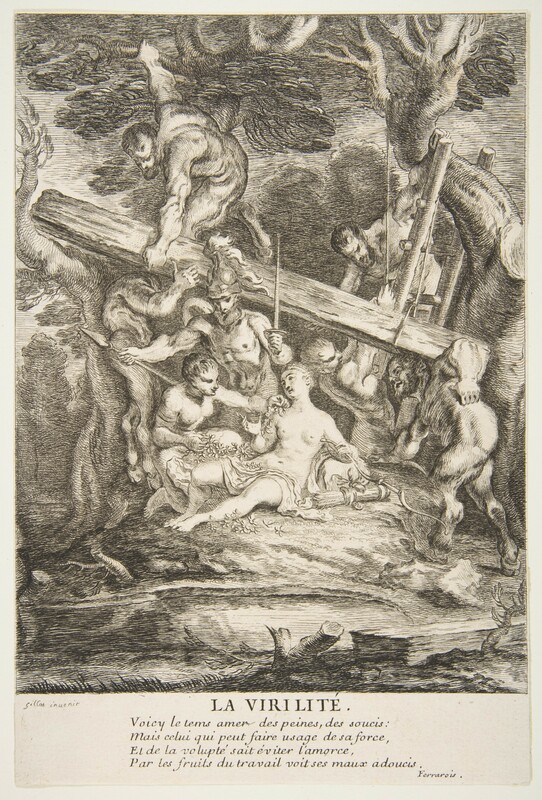 He died in Paris, aged 49.